L-36 Blueprint I have posted a one sheet plan drawn by C. William Lapworth in 1957. 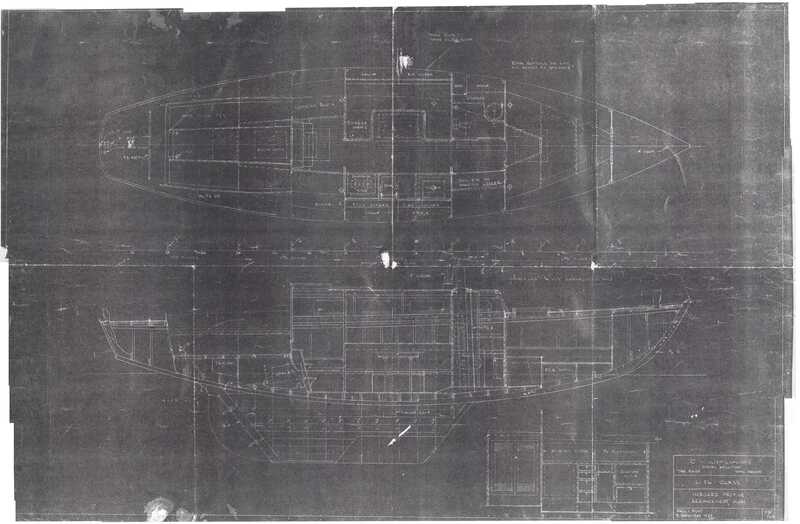 The boat in these plans doesn't look much like Papoose in detail but then again Papoose was built before these plans were drawn. It seems to be true to the later boats. This file a 1M bytes. It is 1 feet by 1.5 feet at 200 dpi. Click on the image at the left to see the larger picture or download it.